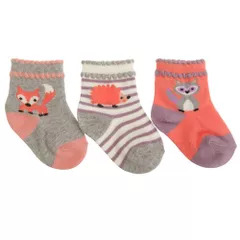 Baby girls cotton rich socks with cute animal design. Choice of 2 designs: Cat/Flowers and Fox/Hedgehog/Racoon. 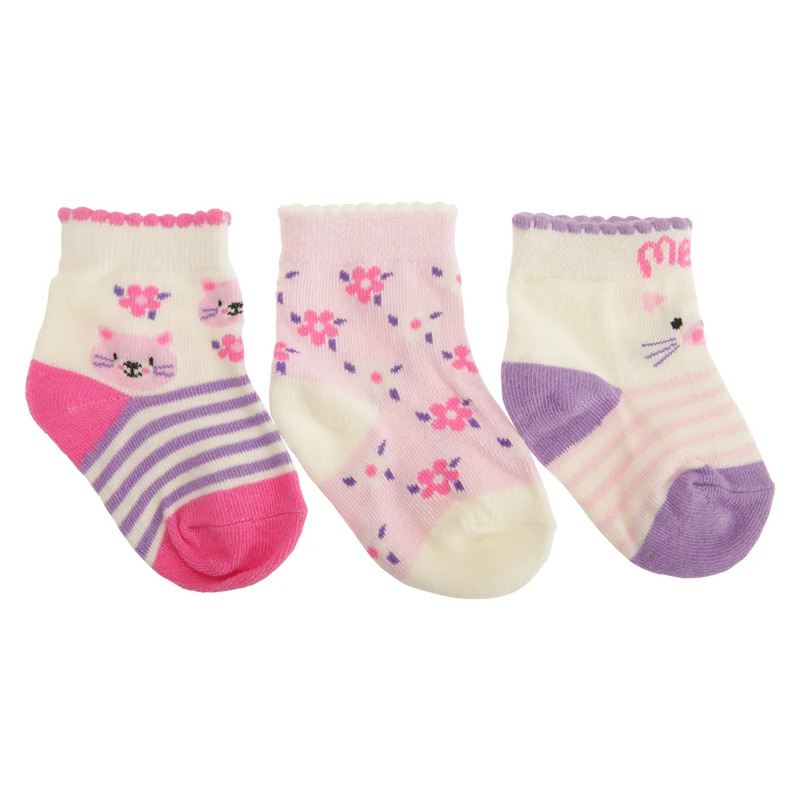 Fibres excluding trims: 78% Cotton, 20% Polyester and 2% Elastane.